It is robe season! 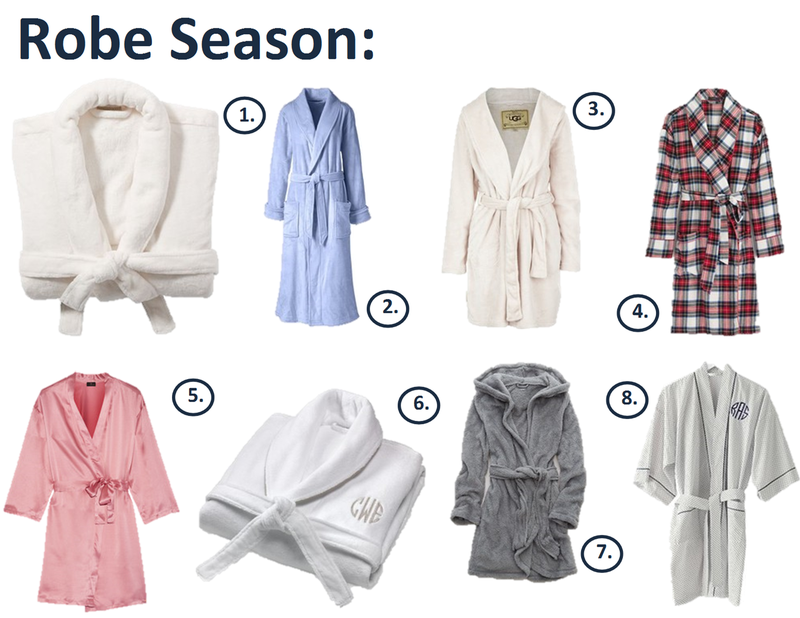 Well actually robe season is every season, but stores do not think so. Now is the best time to buy a robe, every store has them, and curling up with a new one for the fall is the perfect time to do so. I am all about dressing up and looking nice, and if my heels aren't totally walkable, then so be it. That being said I am also all about being cozy when I am home. Having the perfect robe is the best way to say I have my life together, but I also like to wear a blanket when I am home. Here are my favorite picks.